The Night of the Hunter is a truly compelling, haunting, and frightening classic masterpiece thriller-fantasy, and the only film ever directed by the great British actor Charles Laughton. This imaginatively-chilling, experimental, sophisticated work was idiosyncratic, film noirish, avant garde, dream-like expressionistic and strange, and it was both ignored and misunderstood at the time of its release. 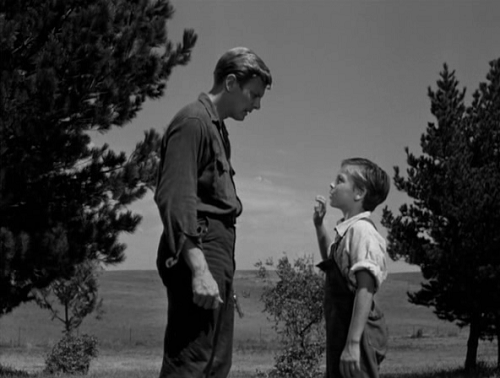 In The Night of the Hunter, terror and tenderness grapple with each other as profoundly as the words HATE and LOVE when they’re tattooed, one per hand, across the knuckles of the sadistic preacher Harry Powell (Robert Mitchum). Powell uses those tattoos to stage the eternal battle of good versus evil as a vivid bout of one-man arm wrestling. 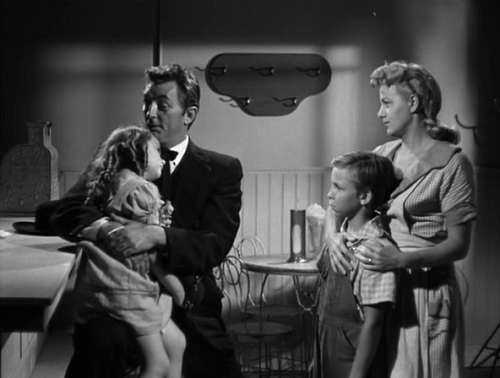 Convinced that Harper told his children the secret, Powell woos and marries Harper’s widow, Willa (Shelley Winters). Willa does not know her new husband’s motive and believes her marriage will lead to her salvation. Powell asks the children about the money when they are alone, but they reveal nothing. John is suspicious of Powell and protective of his sister. One night Willa overhears her husband questioning the children and she realizes the truth. As she lies in bed that night in their attic bedroom, Powell leans over her and slits her throat. No one who has seen The Night of the Hunter can ever forget its images: the shadow of the preacher suddenly looming up into the window of the children’s bedroom; the body of a murdered woman sitting in a car submerged in a river, her long hair tangled with the river weeds; the silhouette of the preacher on the horizon of the nighttime sky, like some ghastly pop-up storybook image suddenly come to life. 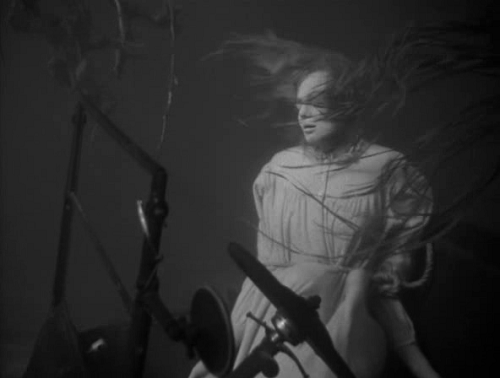 Best of all is the incredible lyrical sequence of the children’s escape from the preacher in a river raft; their progress observed by spiders, frogs, jackrabbits and other forest creatures seemingly out of some dark enchanted fairy tale. 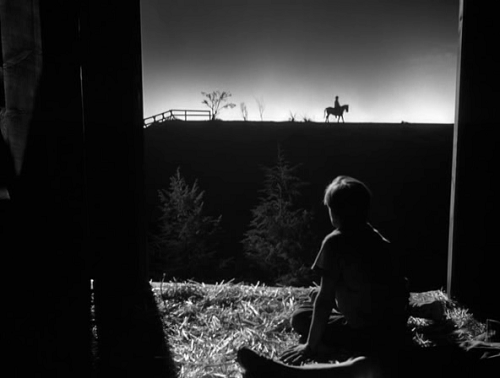 But, for all its visual wonders, The Night of the Hunter is not a film of images alone. Laughton was first and foremost an actor’s director. From the sensitivity of the children’s performances to the pathos of Shelley Winters’ widow, to the broad humor of the character turns by Evelyn Varden and James Gleason, every acting moment counts. 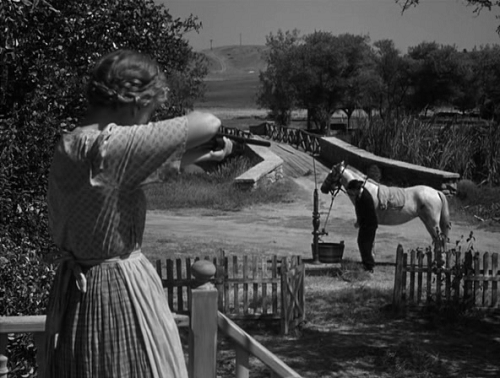 The Night of the Hunter is perhaps the best Halloween movie; Pauline Kael called it “one of the most frightening movies ever made”. Reviewing the film on its first appearance in France, François Truffaut wrote: ‘it makes us fall in love again with an experimental cinema that truly experiments, and a cinema of discovery that, in fact, discovers.’ Another way of putting this is that the creative moment remains present in the finished result, what Brecht had called ‘the active creative element, the making of art’. 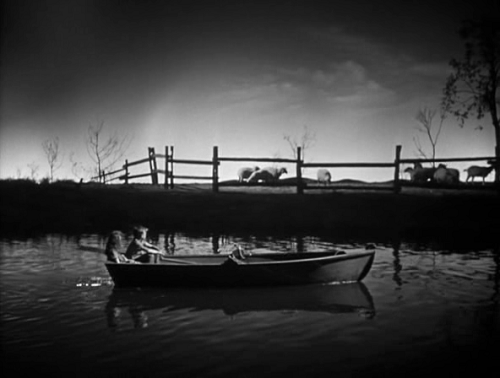 The Night of the Hunter is an American gothic, Biblical tale of greed, innocence, seduction, sin and corruption. It surely remains as one of the greatest American films of all time.